Pregnancy is delicate. 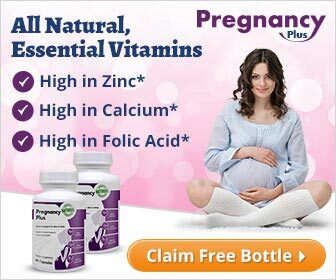 Thus, it is important for pregnant women to take good care of themselves when they are pregnant. Everything they do to themselves greatly affects the health and well-being of the fetus they carry inside. One of the most important things to be wary about is the food they eat. A pregnant woman should eat at least three times a day. She could have a heart-healthy breakfast cereal with a slice of fruit in the morning. Moreover, she can have salads with peas as well. She can also have almonds during snack time if she wishes. Anything that is fresh and healthy, specifically fruits and vegetables can be eaten by pregnant women. These sea foods can be great sources of protein and omega 3 fatty acids, which can promote a baby’s brain and eye development. However, there are fishes and shellfish that contain large amounts of mercury, which could be detrimental to a baby’s maturing nervous system. The bigger and older the fish, the higher the levels of mercury they contain. Thus, the Environmental Protection Agency (EPA) and the Food and Drug Administration (FDA) encourage women to avoid fishes, particularly swordfishes, sharks, King Mackerels, and Tilefishes. Unpasteurized foods, such as soft cheeses, contain unpasteurized milk can cause foodborne illnesses because they may contain E. coli or Listeria. Thus, they should be avoided during pregnancy. Instead, a mother can take low-fat dairy cheeses, like cottage and mozzarella cheeses. These additives and seasonings are commonly used in fast foods and restaurants. They are used to add taste to the food people eat. However, excessive use of such may be harmful to the growing fetus. For instance, artificial sweeteners can cause birth defects and increased risk for brain and spinal cord cancers. Another additive known as “Monosodium glutamate” or MSG is also a widely used one. This affects fetal brain formation, which can eventually cause behavioral and emotional disorders, abnormal learning, and endocrine problems later in a child’s life. These vices have been proven to be extremely harmful to the growing fetus. As a matter of fact, mothers who continue with either or both these vices carry a higher risk of having a stillbirth or a miscarriage. Moreover, too much alcohol intake during pregnancy can result in a fatal condition known as “fetal alcohol syndrome”. This illness condition causes facial anomalies, mental retardation, and heart defects. Caffeine crosses the maternal placenta and directly affects the fetus by increasing its heart rate. Furthermore, according to some studies, caffeine may be linked to the increased risk of miscarriage during pregnancies. However, this theory still necessitates further studies. Thus, it is best for a pregnant mother to avoid caffeine rich food such as coffee, tea, soft drinks, and even chocolates. Any raw or under processed food, whether they are meat from poultry, or sea foods can be harmful to the fetus inside a mother’s womb. These foods may harbor bacteria or viruses that can maternal poisoning, which may or may not affect the fetus. Moreover, depending upon the nature of the bacterium or virus, they may also cause congenital anomalies and hamper the growth and development of the fetus. It is also important for a pregnant mother to get acquainted with the food allergies present within the family- that is, hers, her spouse, and other children. This is because, there is also a big chance that the fetus in her womb is as well allergic to the foods that one of them is allergic to. Moreover, the American Academy of Pediatrics suggests that avoiding food allergens like peanuts and their products during pregnancy may lessen allergy in vulnerable children. This food could contain a bacteria that causes Listeriosis, which will result in either miscarriage or stillbirth. Moreover, it can also result in other serious health problems. Therefore, it is best to avoid eating foods as such. Eating eggs during pregnancy can put a mother at risk for food-borne illnesses, like Salmonella poisoning. This is especially true when the egg eaten is not properly cooked. It is important for a pregnant mother to remember that during her pregnancy, her immune system is weaker than it is when she is not pregnant. Thus, bacteria and viruses that used to have no effect on her may do otherwise during pregnancy.